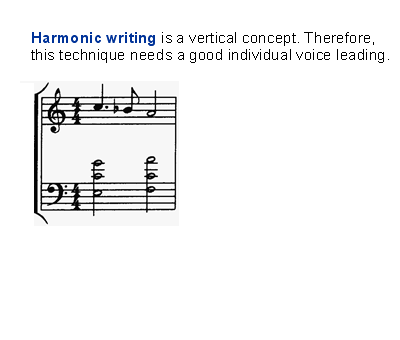 We find 2 possible harmonic writing only. 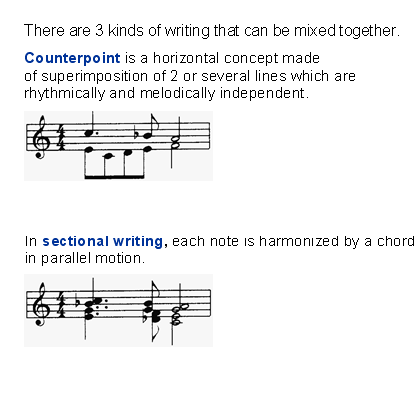 Counterpoint is a superimposition of melodic lines. the sectionnal writing is excellent for jazz. the harmonic writing is nothing else but an accompanied melody.